"A real-life owl and the pussycat. 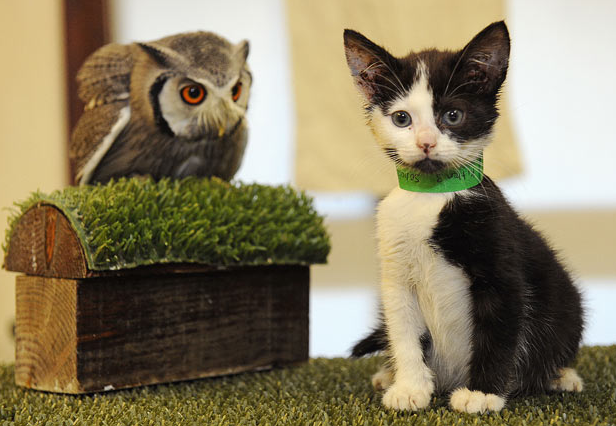 A kitten and owl have become inseparable. The unlikely friendship began after a litter of stray kittens were handed in to the Hawk Conservancy Trust in Hampshire, after they were found abandoned on a nearby road, and one of the litter has become firm friends with Nigel, a white-faced scops owl." they are so beautiful that they both look artificial. @Caren I was thinking the same thing! Thought they were two fake animals!